Saudi Arabia and its allies could retaliate against US legislation allowing the kingdom to be sued for the 9/11 attacks, including scaling back investment in the US economy or restricting access to important regional air bases, experts claim. "This should be clear to America and to the rest of the world. When one Gulf Cooperation Council (GCC) state is targeted unfairly, the others stand around it,” Abdulkhaleq Abdullah, a professor of political science at United Arab Emirates University, told Associated Press. 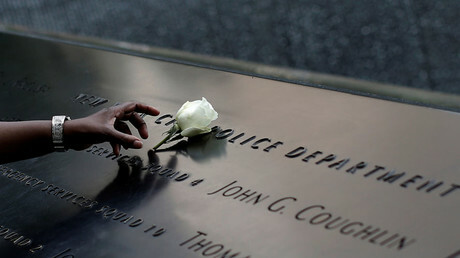 On Wednesday, Congress overwhelmingly voted to override President Barack Obama’s veto of the bill that would allow Americans to potentially sue Saudi Arabia for 9/11. Lawmakers said their priority was not Saudi Arabia, but victims and families. 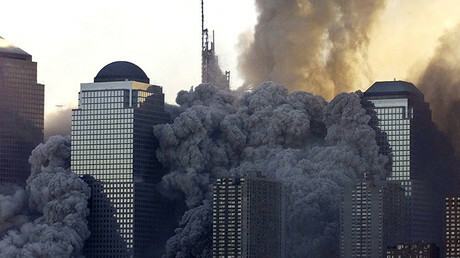 The “Justice Against Sponsors of Terrorism Act (JASTA)” would allow US judges to waive sovereign immunity claims when dealing with acts of terrorism committed on American soil – potentially allowing lawsuits against Saudi Arabia over the 9/11 attacks. 15 of the 19 hijackers were Saudi national. Chas Freeman, former US ambassador to Saudi Arabia during Operation Desert Storm, told AP that Saudi Arabia could respond in a way that risks US strategic interests. That could include Saudi restricting its rules for overflight between Europe and Asia and the Qatari air base from which US military operations in Afghanistan, Iraq and Syria are directed, Freeman says. “The souring of relations and curtailing of official contacts that this legislation would inevitably produce could also jeopardize Saudi cooperation against anti-American terrorism,” Freeman told AP. Obama vetoed JASTA last week, saying it would erode the doctrine of sovereign immunity and expose the US to lawsuits around the world. He argued the bill could lead to other governments acting“reciprocally” by allowing their own courts to exercise jurisdiction over the US, including over deadly US drone strikes. Saudi Foreign Minister Adel al-Jubeir told reporters in June that the US has the most to lose if JASTA is enacted. There have been reports that Riyadh threatened to pull billions of dollars from the US economy if the bill became law, however al-Jubeir has only officially said investor confidence in the US could decline. “No business community likes to see their sovereign nation basically assailed by another nation,” the US-Saudi Business Council’s CEO and Chairman Ed Burton said. The Saudi-led GCC, established in 1981, consists of Bahrain, Kuwait, Oman, Qatar, and the United Emirates. In a separate statement, the government of Qatar said JASTA ”violates international law, particularly the principle of sovereign equality between states," according to Reuters. “Such laws will negatively affect the international efforts and international cooperation to combat terrorism,” said the Emirates Foreign Minister, Sheikh Abdullah bin Zayed Al Nahyan, according to the state news agency WAM. Two of the 9/11 hijackers were Emirati. I remember, just a a couple of years ago articles like this one were uncommon. Now we see such general information every few days. Earth is the warmest it's been in 100,000 years, a new reconstruction of historical temperature data finds, and with today's level of fossil fuel emissions the planet is "locked into" eventually hitting its highest temperature mark in 2 million years. The new research published Monday in Nature was done by Carolyn Snyder, now a climate policy official at the U.S. Environmental Protection Agency, as a part of her doctoral dissertation at Stanford University, according to the Associated Press (AP). Snyder "created a continuous 2 million year temperature record, much longer than a previous 22,000 year record. [Snyder's reconstruction] doesn't estimate temperature for a single year, but averages 5,000-year time periods going back a couple million years," AP reported. "We do find this close relationship between temperature and greenhouse gases that is remarkably stable, and what the study is developing is the coupling factor between the two," Snyder toldNational Geographic. Temperatures averaged out over the most recent 5,000 years—which includes the last 125 years or so of industrial emissions of heat-trapping gases—are generally warmer than they have been since about 120,000 years ago or so, Snyder found. And two interglacial time periods, the one 120,000 years ago and another just about 2 million years ago, were the warmest Snyder tracked. They were about 3.6 degrees (2 degrees Celsius) warmer than the current 5,000-year average. With the link to carbon dioxide levels and taking into account other factors and past trends, Snyder calculated how much warming can be expected in the future. "Snyder said if climate factors are the same as in the past—and that's a big if," AP noted, "Earth is already committed to another 7 degrees or so (about 4 degrees Celsius) of warming over the next few thousand years." "Even if the amount of atmospheric CO2 were to stabilize at current levels, the study suggests that average temperatures may increase by roughly 5 degrees C over the next few millennia as a result of the effects of the greenhouse gas on glaciers, ecosystems and other factors. A doubling of the pre-industrial levels of atmospheric CO2 of roughly 280 parts per million, which could occur within decades unless people curb greenhouse-gas emissions, could eventually boost global average temperatures by around 9 degrees C."
"This is not an exact prediction or a forecast," Snyder told Nature, advising caution regarding her study's temperature predictions. "The experiment we as humans are doing is very different than what we saw in the past." 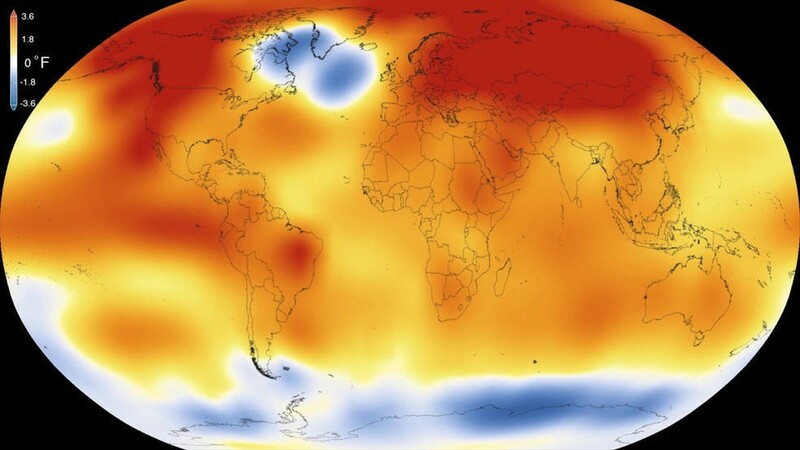 There has been some controversy in the scientific community following publication of Snyder's research: several climate scientists told National Geographic that they felt Snyder's estimate of future temperature rise, far higher than many previous estimates, was an outlier, signaling that her methods were faulty. Michael Mann, an influential climate researcher at Penn State University who was not involved in Snyder's research, told Mashable that "I regard the study as provocative and interesting, but the quantitative findings must be viewed rather skeptically until the analysis has been thoroughly vetted by the scientific community." Other scientists said they were intrigued by Snyder's findings and hope her study leads to additional research. Jeremy Shakun, a climate researcher at Boston College, told AP that "Snyder's work is a great contribution and future work should build on it." "It's a useful starting place," Snyder said to Nature about her research. "People can take this and improve upon it as more records become available in the future." The Arctic climate is changing so quickly that science can barely keep track of what is happening and predict the global consequences, the UN says. LONDON, 29 September, 2016 – In an unusually stark warning a leading international scientific body says the Arctic climate is changing so fast that researchers are struggling to keep up. The changes happening there, it says, are affecting the weather worldwide. The World Meteorological Organisation (WMO) says: “Dramatic and unprecedented warming in the Arctic is driving sea level rise, affecting weather patterns around the world and may trigger even more changes in the climate system. The WMO is the United Nations’ main agency responsible for weather, climate and water. Its president, David Grimes, said: “The Arctic is a principal, global driver of the climate system and is undergoing an unprecedented rate of change with consequences far beyond its boundaries. He was speaking before addressing the first White House Science Ministerialmeeting in Washington DC, held to develop international collaboration on Arctic science. Climate change is causing global average temperatures to rise: 2014, 2015 and the first eight months of 2016 have all been record-breakers. The Arctic is warming at least twice as fast as the global average, in places even faster: the Canadian town of Inuvik has warmed by almost 4°C since 1948, about four times more than the global figure. The increasing loss of Arctic sea ice is threatening polar bears across their range; melting sea ice is affecting the Arctic climate in a feedback loop; and scientists expect melting permafrost will release more carbon dioxide and methane. The WMO secretary-general, Petteri Taalas, said the Arctic changes had also been a factor in unusual winter weather patterns in North America and Europe. He said the thawing of the permafrost could release vast quantities of greenhouse gases into the atmosphere. “These are part of the vicious circles of climate change which are the subject of intense scientific research”, he said. Despite its certainty that the Arctic is in trouble, the WMO says it is hard to establish the implications of what is happening there. The Arctic makes up about 4% of the Earth’s surface, but the WMO says it is “one of the most data-sparse regions in the world because of its remoteness and previous inaccessibility. That’s a worry which is echoed at the other end of the planet. A study led by Dr Julie Jones, from the department of geography at the University of Sheffield, UK, says limited data on Antarctica’s climate is making it difficult for researchers to disentangle changes caused by human activity from natural climate fluctuations. It was only when regular satellite observations began in 1979 that measurement of surface climate over the Antarctic and the Southern Ocean became possible, says the study, published in the journal Nature Climate Change. To gain a longer view, Dr Jones and her colleagues used a compilation of records from natural archives such as ice cores from the Antarctic ice sheet, which show how the region’s climate has changed over the last 200 years. They confirmed that human-induced changes have caused the belt of prevailing westerly winds over the Southern Ocean to shift towards Antarctica. But they conclude that for other changes, including regional warming and sea ice changes, the observations since 1979 are not yet long enough for the signal of human activity to be clearly separated from the strong natural variability. The shift in the westerly winds has moved rainfall away from southern Australia. 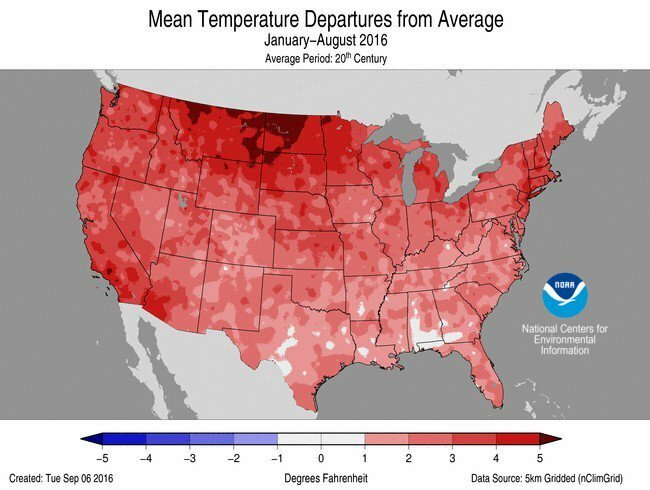 This year is set to be the country’s hottest on record. Dr Jones said: “The Antarctic climate is like a giant jigsaw puzzle with most of the pieces still missing. Siberian wildfires "too big to fight"
Dr Strangelove or UK General? Is this the end of diplomacy? Is Obama preparing to stay in office? Have Russian conscripts arrived in Syria?